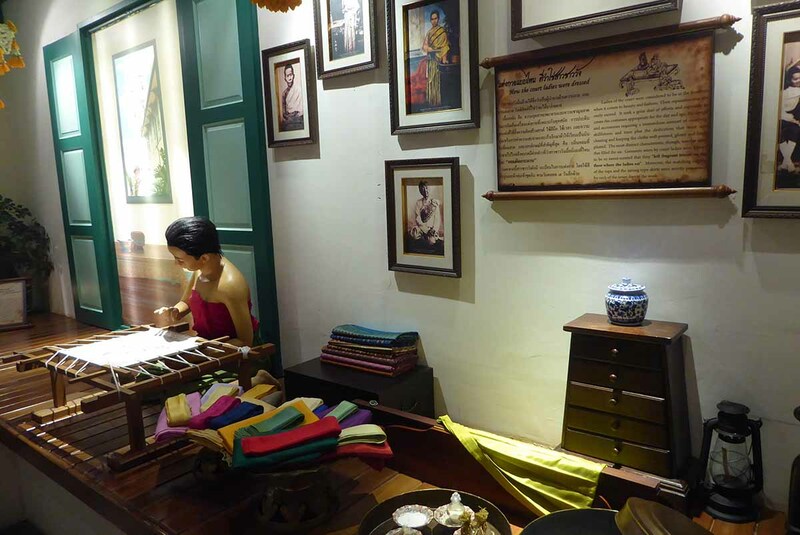 The Rattanakosin Exhibition Hall houses a permanent exhibition detailing the history, art, and culture of old city Rattanakosin. 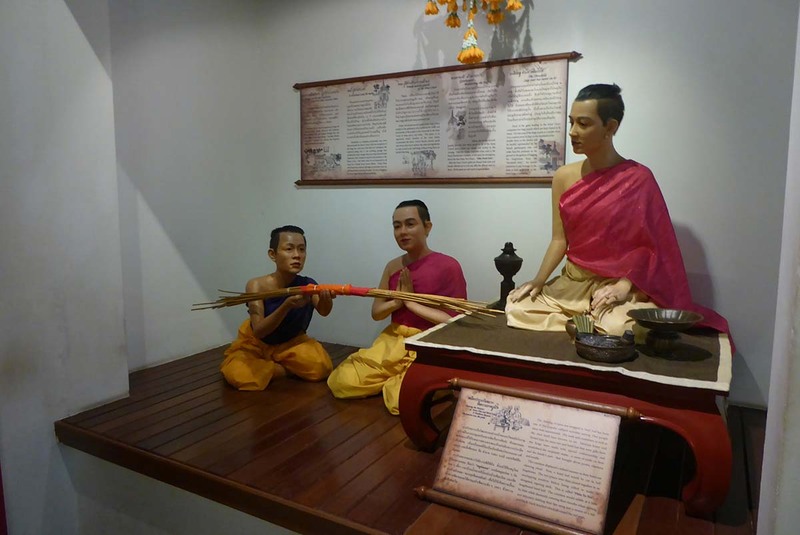 It deals with the establishment of Bangkok in 1782 up to the present day. 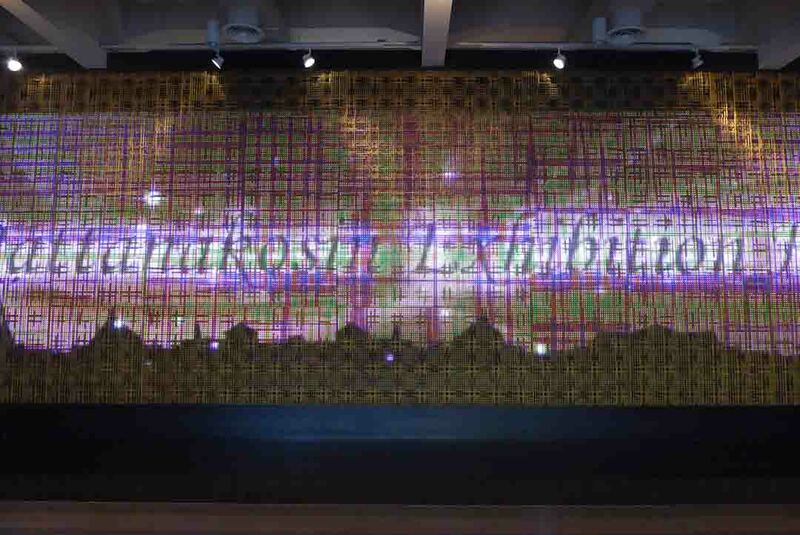 To see the exhibition, you must join a guided tour which departs every 20 minutes. The last departure is at 17.00. There are eleven exhibition rooms with separate guides for each room. The guides speak good English and explain everything clearly and you can take photos. An audio guide in English is available but you don’t really need it. The tour takes almost 2 hours. 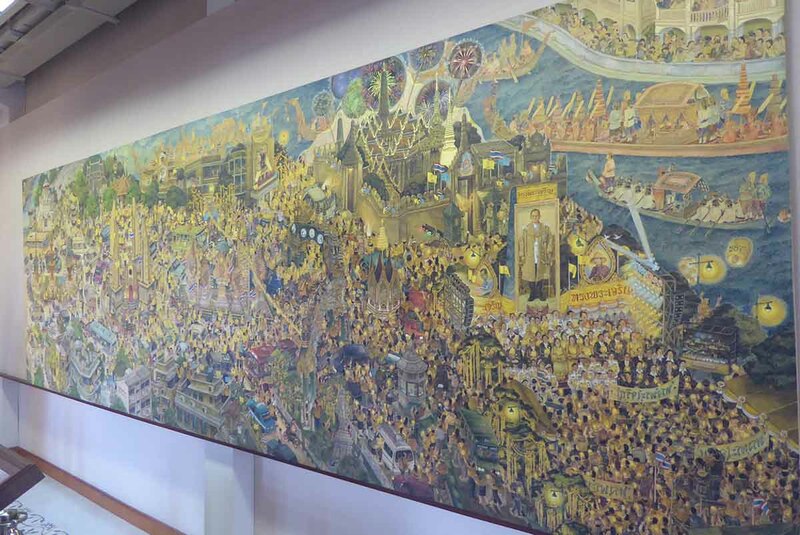 The tour starts with a timeline of historic events in Thailand since 1782. It compares them with historic world events during the same period. The tour continues through exhibitions on the old city communities, and the establishment of the city. 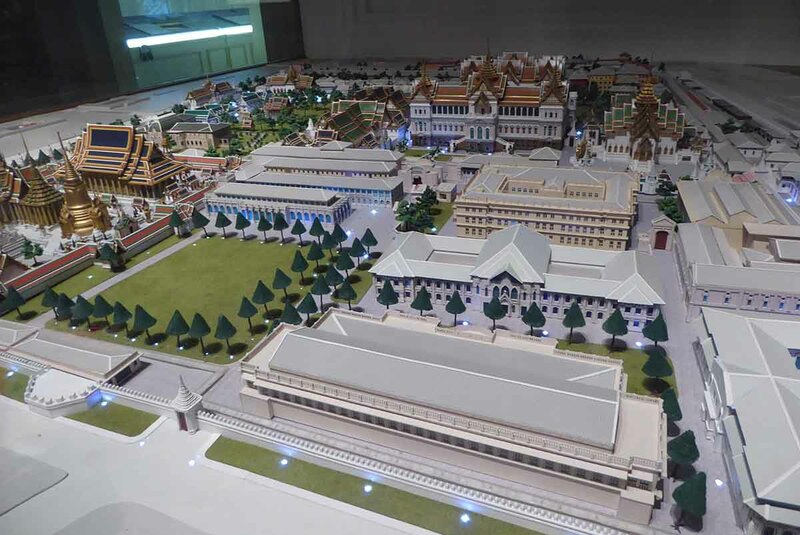 It continues with the history of the Grand Palace and the Emerald Buddha. 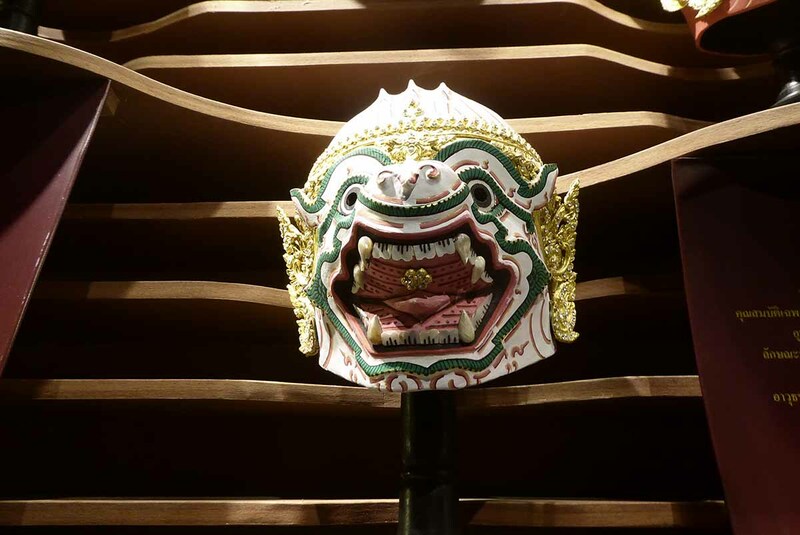 The history of the performing arts such as Khon and traditional dance. 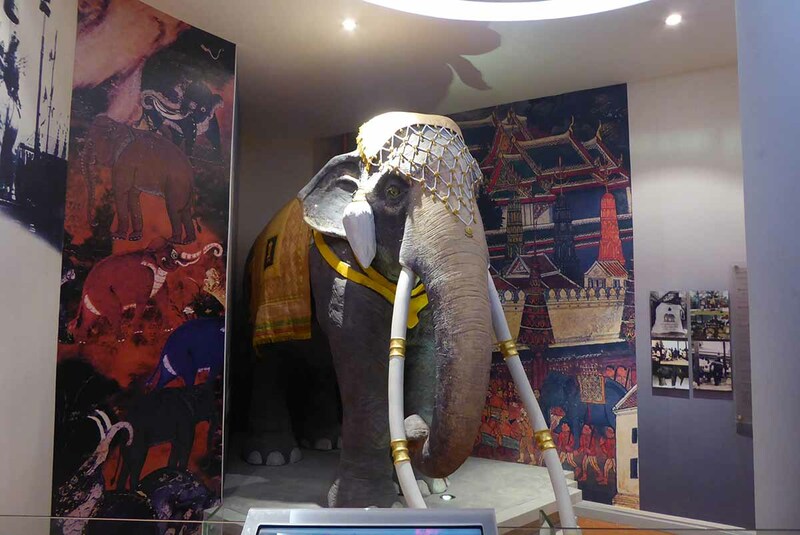 Tthe history of the Thai monarchy, the areas tourist attractions. 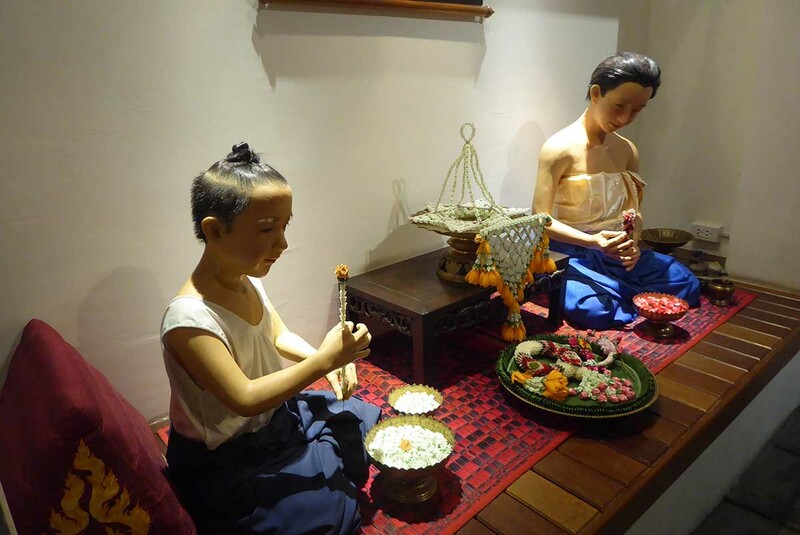 Royal ceremonies, agriculture, architecture and the Thai way of life. 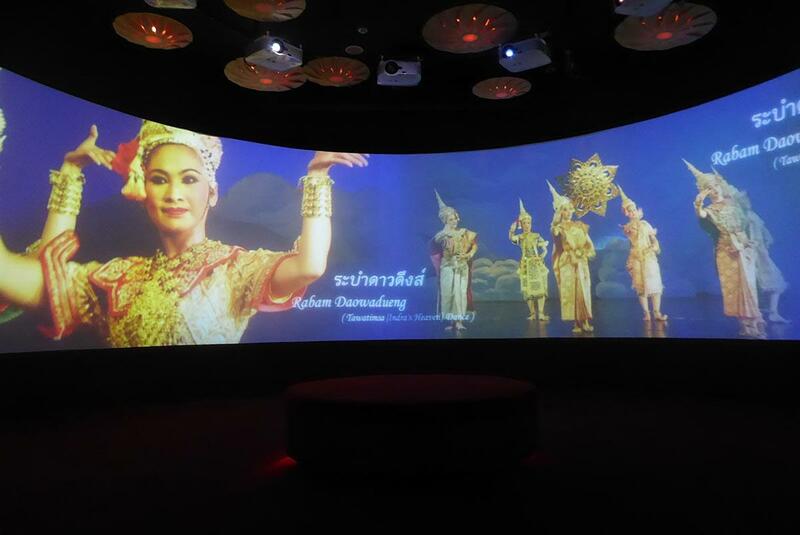 Each room has a multimedia element with touch screens, short films, interactive games, virtual reality, models and reconstructions of buildings. 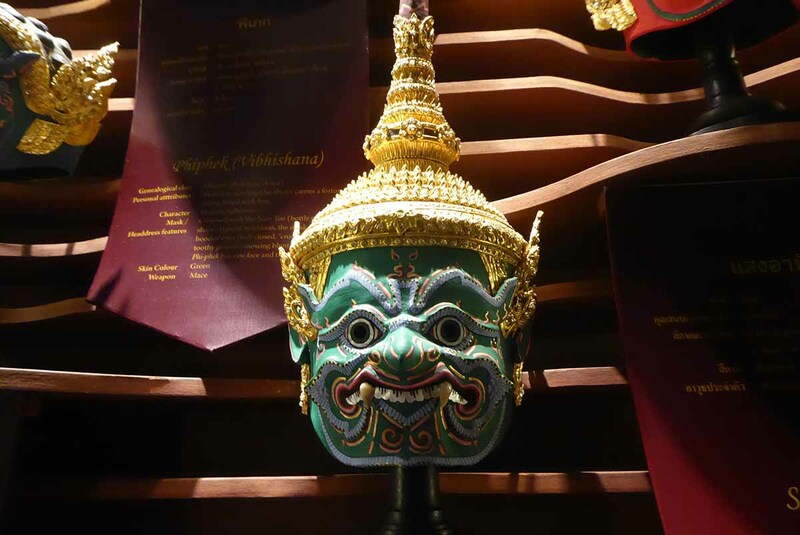 You can build your own temple, control a puppet and even become a character in an animation touring Bangkok’s famous sights. 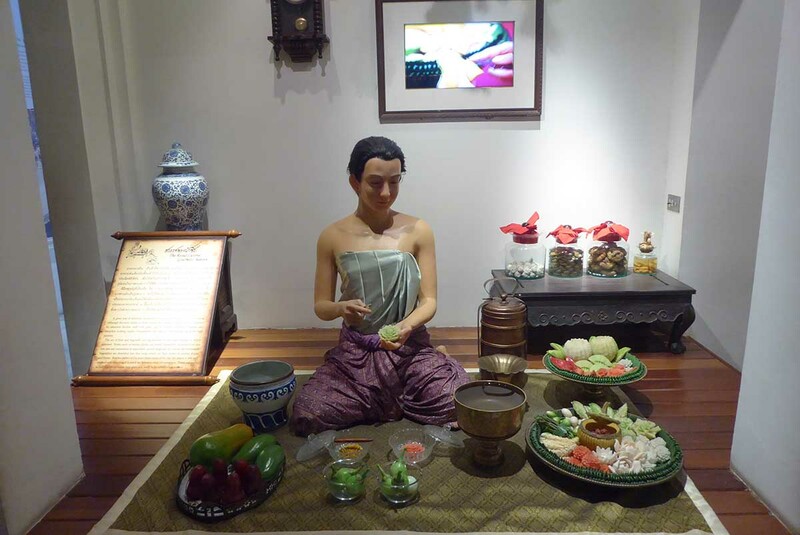 The multimedia elements are impressive and well-designed adding to the enjoyment of the tour. 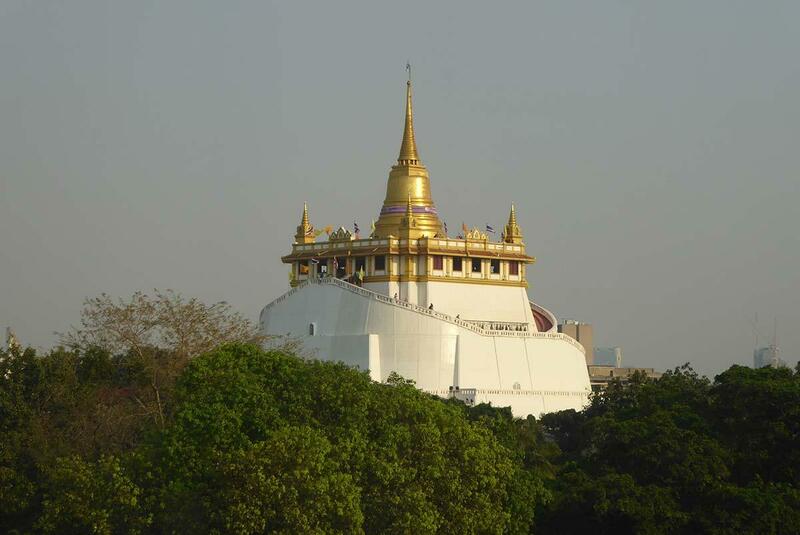 Loha Prasat and the Golden Mount. 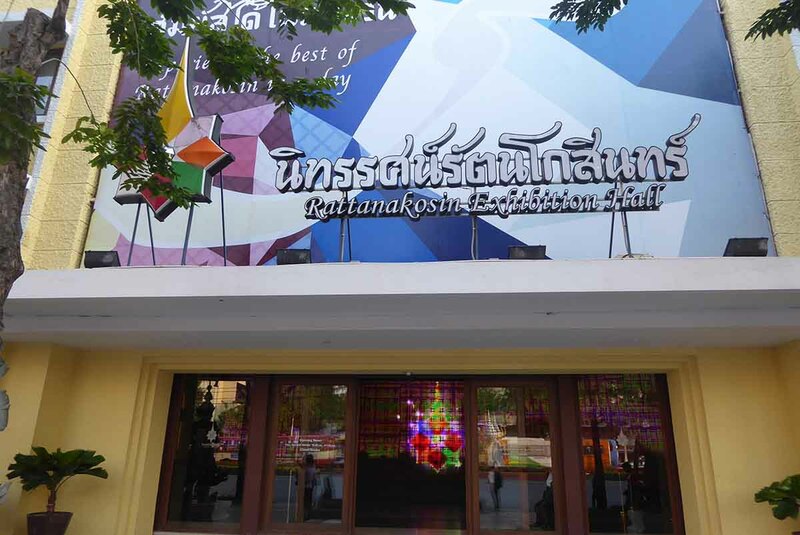 There is also a Library, souvenir shop, and two cafes. 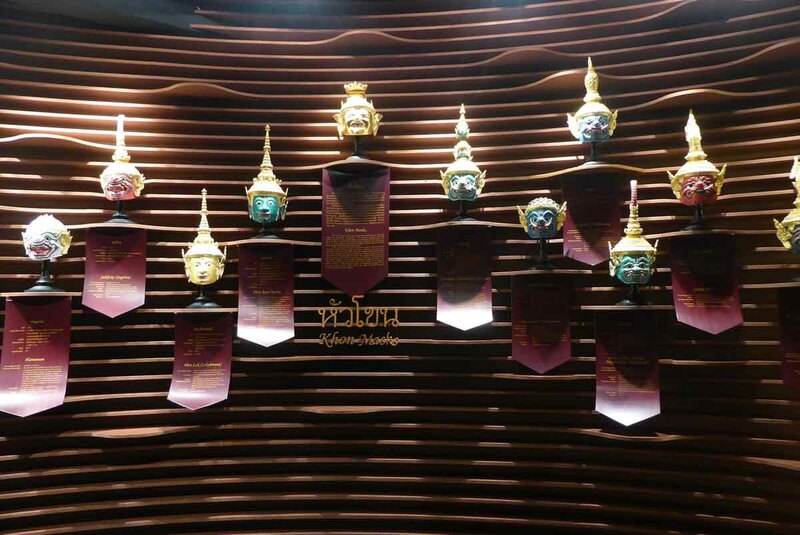 The Rattanakosin Exhibition Hall is a great place to visit if you want to gain an understanding of Thailand’s culture, history, and people. Rules: No bags allowed inside. Free Lockers. Boat: Khlong Saen Saep Express Boat to Tha Phan Fa Lilat Pier.